Sweets for breakfast are so indulgent. It is nice to have something that feels like a treat some mornings. We had tried some gluten free doughnuts but had not found a readily available one. We of course love the Erin McKenna doughnuts while at Disney World, and the Silly Yak Bakery when in Madison. Finally we have doughnuts to eat for breakfast Katz Gluten Free are the best doughnuts we have had since going gluten free. We have loved every variety we have tried and one day I will order the creme filled ones. I am afraid they will become my kryptonite. 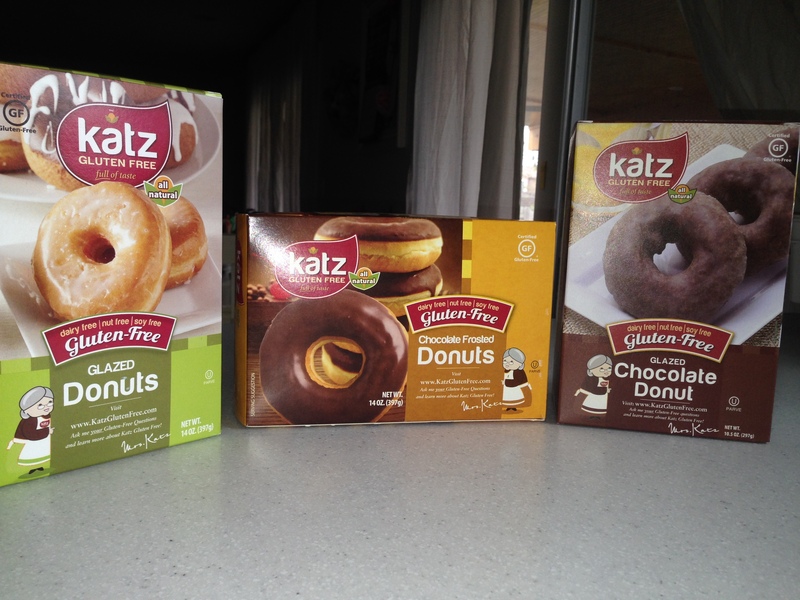 Katz doughnuts are dairy free and gluten free. They are also nut free and potato free. We find them at a few local grocery stores (except those amazing looking filled ones) and our favorite health food store carries them. I hope you enjoy them as much as I do – Susan B. Genetic Testing – The long awaited answer. Hot Chocolate – It’s almost May!